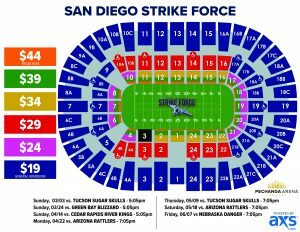 Single-game tickets for all seven Strike Force home games at Pechanga Arena are currently on sale. Single-game tickets start at just $19 apiece and a front row seat to a Strike Force game can be purchased for as little as $44. 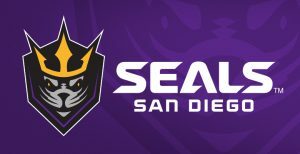 Parking will be FREE for all fans attending San Diego Strike Force games at Pechanga Arena San Diego. 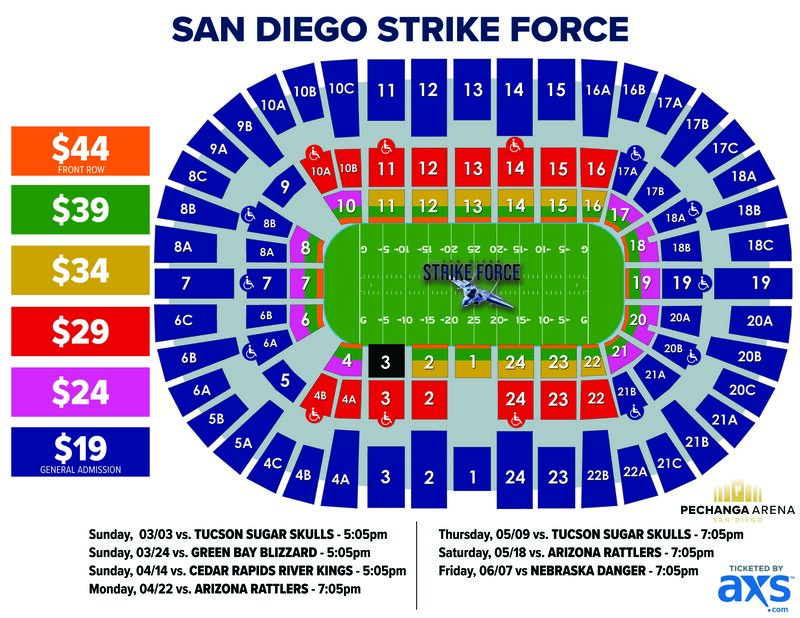 For more information, please visit the team’s official website, www.sdstrikeforce.com.